Photo labs are all very good for printing standard sizes such as 6"×4" or 7"×5", but if you've got an unusual-sized frame you wan to put a photo in, it can all get a bit tricky. Trying to help you out is the recently-launched website OddPrints.com. 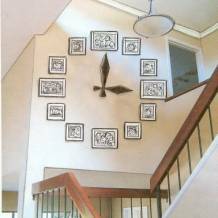 Users upload their image and select the size they would like to get it printed. The site then resizes the digital file and produces it as part of a standard-sized print, from a 6"x4" to a 10"x8". The file is then downloaded and can be taken to any photo lab to be printed. Photojojo shows us how to make a 3D tunnel book! We're always on the lookout for something quirky and funky to do with our beloved photos -- but we'd never thought of making a 3D tunnel book with them. Primarily that's because we didn't know what a 3D tunnel book was until we stumbled on this fab little instructional from Photojojo. But now we do -- it's a 3D diorama made by using image to create a foreground, middle ground and background -- we can't wait to make one. Would you want your Leica re-painted? Leica cameras are know for that famous little red dot (as well as their amazing image quality), but for some, it appears this isn't colourful enough. 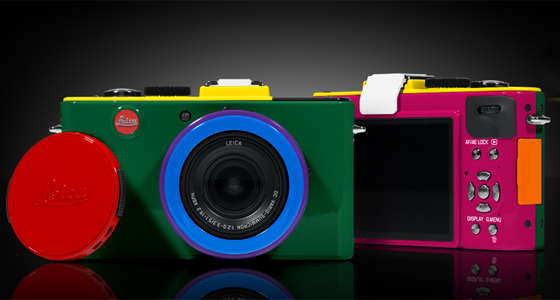 As a result Colorware have started offering re-painted versions where you get to pick the colours of a Leica D-Lux 5 - whether you already own one, or want them to supply it. One of the beauties of digital cameras as far as we are concerned is not having to develop film - you simply pop the memory card into your computer and you're done. Personally we were never fans of the chemical process of developing film, but believe it or not, some people used to enjoy it… and if you were one of them, you might want to attempt this. That's because this video shows coffee-loving photographers how to develop black and white film with instant coffee, vitamin C, and washing soda. Yes really. If you were to squint a bit, you might think this was be a real Hasselblad camera, it's not - but that doesn't mean it's not almost as cool. 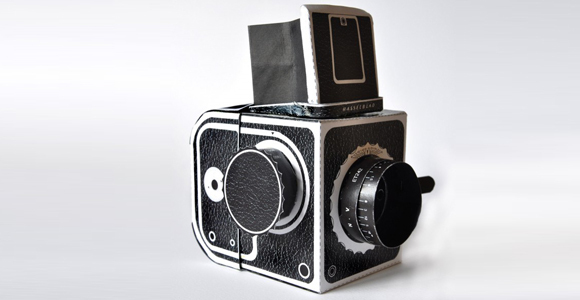 This is actually a fully-functional pinhole camera made by designer Kelly Angood which is constructed from corrugated cardboard. She's already made versions which accept 120 and 35mm film, and while the images they are capable of producing won't rival those shot on a genuine Hasselblad, they are not too shabby either. 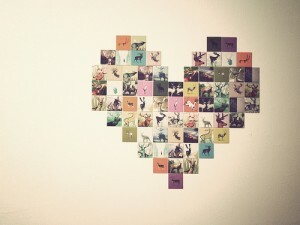 In case you have been living in a cave for the past 12 months (or at least without a iPhone) and don't know what Instagram is, it's a photo sharing service which even manages to make mobile phone photos look cool. Basically you just snap away, pick from an impressive selection of filters and then share your images with other Instagram-using friends. But the problem is you and other people only ever get to see the photographs on the front of a phone -- which is where StickyGram comes in. Beautiful Use of Old Fencing - Great DIY Project! 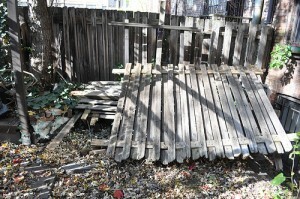 Imagine an old fence, turned into a stunning photo display! It can happen and it has been done and shared on a great blog called Brick City Love! 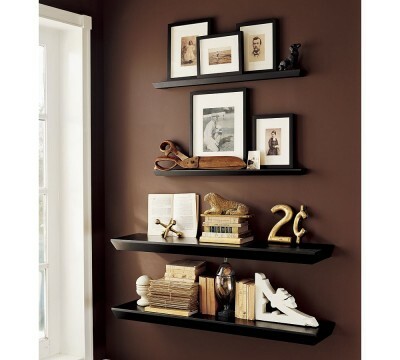 We so often talk about Photo Wall displays, where images are hung right on the wall - but there is also some great inspiration for galleries of photos on shelving! Here are a few examples from one of our fave inspirations Pottery Barn! Photo Fobbies - Fun to Say, Fun To Use! Want to add a touch of fun to your gifts this holiday season? Then you need to check out the Fobbie! We love finding crazy stuff! Check out these amazing ideas for your own space! You can click on the image to get to the original place I found these babies! With the Holidays fast approaching and with most families looking for economical gift giving ideas, we have found some great ideas for DIY Photo Gifts for friends and family! These DIY photo gift ideas are courtesy of FaveCrafts, which is a great site for finding any kind of craft project!¬† The projects listed below are a few we thought would really make exceptional gifts. You can find the instructions by clicking on the project name to be taken directly to the instructions and supplies list! Perfect for any baseball lover! In a kids room, playroom or "sports room", this unique photo display will be the focal point and remain a cherished gift that any baseball fan will love! 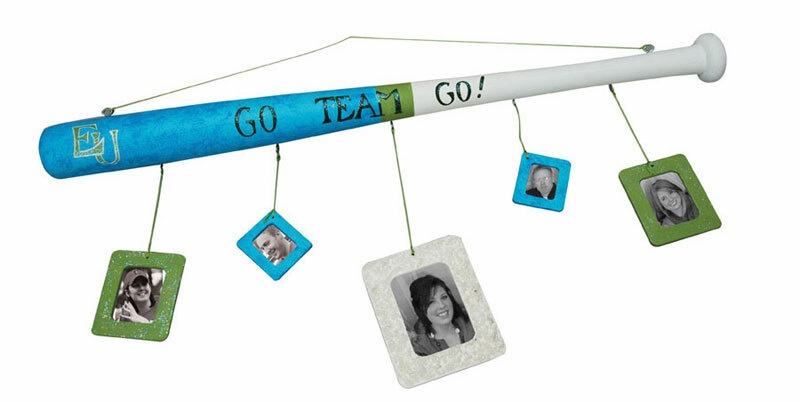 Use the colors from their favorite team and images from various sporting events they have been to for a perfect DIY photo gift!